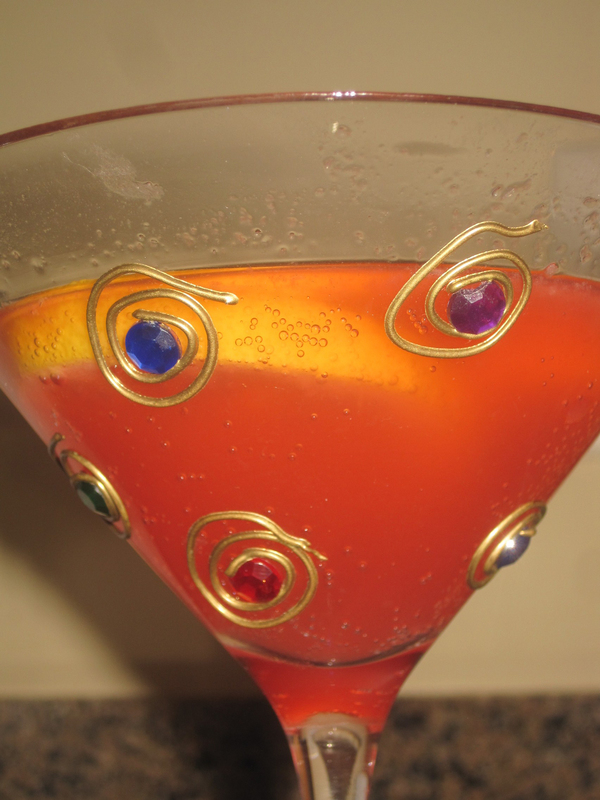 We made this drink months ago with Meatball Feast 2K11, and it was perhaps so good and strong that it made me too stupid to even remember to post the recipe. How’s that for a selling point? This cocktail uses Campari, an apertif that has a slightly licorice taste. Now don’t run off just yet; I beyond-hate licorice, which means I have deep-seated fennel and Twizzler issues, but in this drink, the flavor really works. Plus it’s pink and you get to drink it out of those martini glasses you got for your birthday 6 years ago and have never used. Go get it, girl. Fill a shaker with ice. 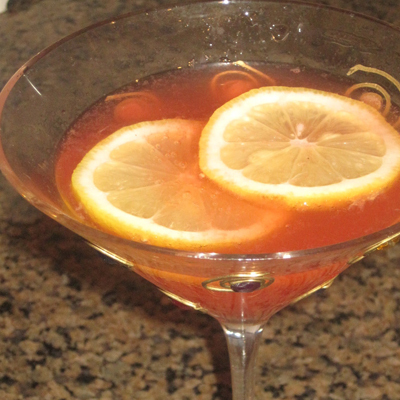 Add vodka, Campari, lemon juice and simple syrup. Shake until well blended. Put some ice in your fanciest cocktail glass and place lemon slices inside the bottom. Strain drink into glass while adding 7-up. Recipe taken from Cocktail Times.